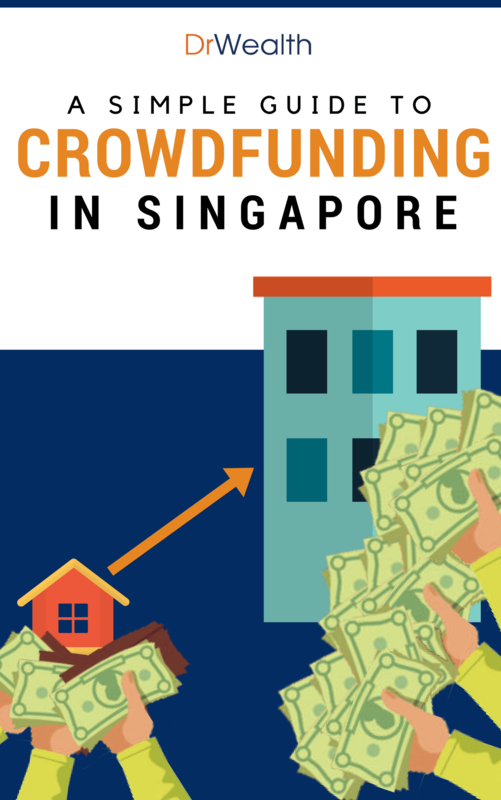 Crowdfunding Singapore is becoming popular these days. Imagine being able to support small startups today, that could bring you multi-fold returns in the future. That's just one of the possibilities in Crowdfunding today. 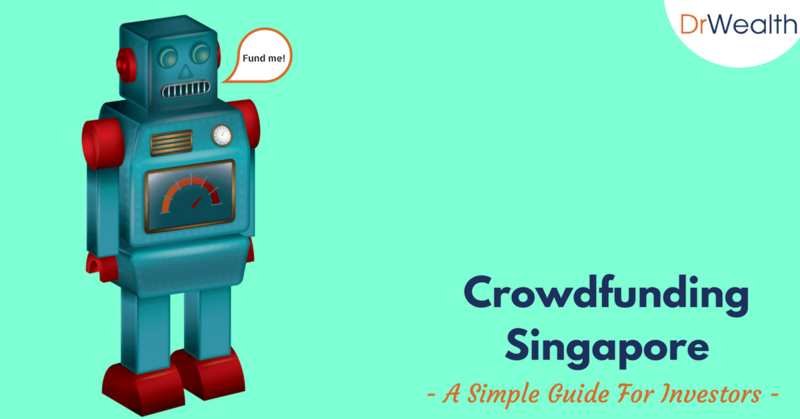 Latest Bonus PDF: Download FREE PDF version of the Crowdfunding Guide containing latest information on Crowdfunding in Singapore now! While the term 'crowdfunding' was commonly used with raising money for worthy & charitable causes, it can also refer to a platform for retail investors to fund and invest in non-listed companies. Crowdfunding is all about raising money from the public outside of the standard stock exchange. The concept of crowdfunding can trace its history to the 18th century and even earlier, its modern beginning was in 1997. It was in that year that the British Rock and Roll group, Marillion raised funds for their tour through the donations of fans. Marillion’s success inspired the founding of ArtistShare, the first dedicated platform for crowdfunding in 2000. Since then, more platforms have emerged. In Singapore, the first crowdfunding platform to be organised is FundedHere. It offers both equity crowdfunding and lending-based crowdfunding to investors. Today, there are other platforms in Singapore offering crowdfunding to startups and investors. There are several ways for investors to support startups, and earn a small return at the same time. Let’s go through each one of them. In the donation model, the individuals giving out the money are not expecting anything in return for what they are giving. Even if they are funding a business, they are not expecting to get a product, service, or even a discount in return. This model is commonly used for charities and for artistic endeavours. The participants do not expect to get any kind of reward, except for the sense of achievement that they have helped a worthy cause. If you are an investor, donation-based crowdfunding model would offer little to no opportunities for you. The reward crowdfunding model is a lot like the donation model in the sense that the money invested is for non-monetary reward in exchange. It could be a simple mug or even a T-shirt. So why would investors invest then? The common reason is because they wish to be part of the venture’s success. They may want to support a revolutionary idea or product, or the cause. Among the four models, reward-based crowdfunding is the most popular. It is the kind of model used in Kickstarter and Indiegogo, which are extremely popular in the west. Debt crowdfunding is a financial transaction between the moneylenders (investors) and the companies (borrowers). Typically, the borrower (company) agrees to pay back the principal plus interest to lenders at a predetermined date. This resembles bonds investments. This kind of model works well with a business that has cash-paying customers. Under this arrangement, the payments will usually start a few months later. That will give the business owners ample time to get the business started. The payments are normally based on a fix percentage cut from the business revenue, which is desirable since most startups face cash flow constraints during their early growth phase. A seasonal business would not have a hard time meeting the payments, since it is based on the revenue. If the business has little revenue coming in, then it will just have to pay a smaller amount. Debt-based crowdfunding is suitable for Small and Medium Enterprise since they are not likely to raise capital through listing nor from institutional investors. Singaporean crowdfunding investors can tap into debt crowdfunding for a predetermined income through interest, seek diversification and support local enterprises at the same time. Additionally, do note that you won’t be entitled to voting rights because you are a lender and not an equity owner. Hence, you are unable to make any business decisions. CoAssets — The first public listed crowdfunding platform in Southeast Asia. They maintain offices in Singapore, Malaysia, Indonesia, Australia, and China. More than S$48 million worth of transactions have been processed through the site. CoAssets launched Crowdfunders.Asia, a magazine that’s dedicated to anything connected with crowdfunding as a means of giving back to the community. Funding Societies — This is a secure online platform that aims to help small business owners to gain access to both institutional and individual investors. The name of the platform signifies its aim of improving societies in Southeast Asian countries, through the giving of assistance to small-time entrepreneurs. Funding Societies maintains its office in Singapore. MoolahSense — Is one of the pioneer platforms for crowdsourcing in Singapore. It was founded in 2013 and is still going strong. Moolahsense is a peer-to-peer lending platform that connects budding entrepreneurs with potential investors. According to their site, Moolahsense has managed to facilitate a total of over $30 million funding issued to entrepreneurs, through more than 278 completed campaigns. With more than 10,000 investors who are willing to provide funding to up and coming entrepreneurs, Moolahsense is a one of the best debt-based crowdfunding platform. New Union — New Union is the largest business financing platform in Singapore today. It allows small business owners seeking short-term financing to connect with potential investors. Established in 2013 and launched the following year, New Union has facilitated $46,159,440 worth of funds. The last model is the equity crowdfunding model. Investors offer capital in exchange for a stake in the companies. This is similar to investing in the stock market except that the companies are private companies rather than listed. Hence, the gains come from dividends and capital when the share value increases. Similar to debt-based crowdfunding, it is suitable for startups which often face cash flow constraint to bring their ideas to market. Their innovative ideas and vision would also help them in attracting attention from the media which helps them to effectively raise capital. In the past, only venture capitalists and accredited investors have the financial ability to invest in startups. But the introduction of equity crowdfunding platforms has made the whole process a lot more democratic and accessible. Certainly it has also opened the doors to many small retail investors. #1. Higher returns — Debt and equity-crowding deals typically have higher returns than what investors can get on the stock exchange and government bonds. The higher returns are compensating the increased investment risks. #2. Cost Effective — Crowdfunding platforms help to reduce the costs and trouble normally involved in investment. The platforms bring investors and entrepreneurs together, and it makes the whole process easier and cheaper. #3. Diversification — Are you looking for ways to diversify your investment portfolio? You should consider crowdfunding since it is a separate asset class. Traditional angel investment calls for large amounts to be invested in one or two companies. Debt-based crowdfunding allows the investor to put in relatively small amounts in various startups. #4. You Could Get Rewards — Some companies may offer rewards like discounts and vouchers as part of their offer for selling securities. #5. You Don’t Need a Large Amount — One of the things that hold some people back when it comes to investing is the large capital outlay for the investments. The great thing about crowdfunding is that you don’t need to have a large bank account to get started. You can get started with a limited amount, so that you can get a feel for how it is done. #6. Helping A Cause — As an investor, this might not seem like a good reason to try crowdfunding, but it matters to a lot of people. Funding startups and small businesses means that you are helping other people to achieve their goals. You can choose to back a cause that you strongly support, and that should make you feel good. Crowdfunding platforms in Singapore are regulated by the Monetary Authority of Singapore (MAS). Part of MAS' role is to ensure that only the platforms that meet its standards will be licensed to operate. The regulation of debt-based crowdfunding is done by the MAS under the Securities and Futures Act and the Financial Advisers Act. Should an operator be found guilty of breaching the rules and regulations of MAS, penalty can be imposed. The Money Authority of Singapore may perform enhanced audits on the erring operator or even revoke its license. If a platform is meant to give advice to investors regarding the purchase of securities, the operators will also be required to have a license as a financial advisor. The MAS has made it easier for small businesses and startups to access crowdfunding in Singapore. The regulating body now allows these startups to rely on existing regulations for campaigns which are aimed at raising less than S$5 million within a one-year period. Crowdfunding is sound in principle and is generally a good concept. It allows individual investors to select the investments, instead of just relying on institutions such as funds and banks. However, like any other investments there are risks involved. Crowdfunding is basically raising funds for a project from a lot of people globally. Some of these are organised through internet platforms such as Kickstarter. Due to the massive size of the crowd and the (generally) small amounts of money required per contributor, significant amounts of funds can be raised within a short period of time. One of the best known crowdfunded project in Singapore is Pirate3D. They are the people behind the affordable 3D printer Buccaneer. The project was very attractive in terms of pricing, with a listed price of just $347. Most 3D printers cost thousands of dollars during that time. In fact, Pirate3D was so popular they raised more than $1.4 mil from over 3,500 people in June 2013. However, they started to fall behind in schedule and could not deliver. There were even features which were promised as stretch goals should the funding reached over $1 mil. But these features were left out of the final product. To get these features, the buyers would have to pay an additional $100 over the original $347 price tag. You can imagine the backlash from this. Worse still, when people asked for a refund, they made a mistake in calculating the refund date and told some of them that they would take as long as 3 years to get their refund back. This is just more prominent example of the downside of crowdfunding. So let’s take a step back and look at why crowdfunding can be a risky venture. Most crowdfunding projects do not actually have the product available yet. So there are actually many issues that can arise. Investors should question whether they can meet the delivery schedule, whether they can meet their costs and so on. Worse still, some may not even have a prototype, all they have is an idea. To attract investors, crowdfunding projects usually list their products at very attractive prices. For example, other commercial 3D printers were selling at thousands of dollars while Pirate3D price their Buccaneer at only $347. On top of the costs of components and labour, have they factored in overhead expenses and buffered for potential cost overruns? Inflation is another big factor as they usually calculate their costs on existing prices. These prices may have change significantly during the actual production that occurs later. As crowdfunding is relatively new, there are few regulations governing this. There is also nothing to stop them from taking the money and just declaring it as a failed project. This is one of the major worries of funding an overseas project. Whether the product is viable is another issue to consider. Very often, startups may be aided in the early stage by the founder's friend and family. Hence, there might be overestimation on the actual reception of their product. It is important to understand the data provided by the startup, and consider potential reasons for the validity of the data. Especially if it seems particularly optimistic. The risks for crowdfunding are significant and there are many cases where all the funding goes down the drain. Anybody who participates in crowdfunding should be prepared that they could lose all their money and not get anything in return. #1. Loss of capital — This method of raising funds is used by small businesses and startups with little or no track record. Keep in mind that startups have a high rate of failure. This means that there is a high risk that you could lose some or even all of your capital, should the startup that you chose to fund fail. #2. Foreign issuers — Securities offered by foreign issuers will mean that your investment will be subjected to the laws and regulations of other countries. That could mean additional taxes and fees. #3. Fraud risk — The government of Singapore regulates the crowdfunding platforms to ensure that they follow the rules. However, there is always the risk of fraud especially when you are dealing with the people running the platform online. #4. Failure of the platform — Then there is the risk of the investment platform itself failing which could put your money in danger. You’re making a mistake if you think that crowdfunding is risk-free. Again, no investment can be fully free from risks. The good news is that if you take proper risk management like having a diversified portfolio and avoid over-investing, the loss of investment going sour would be greatly reduced. You can report directly to the MAS should you encounter problems when you join in a crowdfunding arrangement, especially if you feel that your rights have been breached. You can avoid any problems like that by carefully reading the documents that accompany the investment offer. Remember that you should not accept any offer or buy anything unless you fully understand how the arrangement works. To know if the crowdfunding platform is regulated by the Monetary Authority of Singapore, you can check the agency’s website where they have a Financial Institutions Directory. This a comprehensive list of all the financial institutions that can operate in Singapore. While crowdfunding is a relatively new concept, there are numerous platforms now offering opportunities to investors and more are expected to pop up in the future. The MAS' regulation helps ensure that you will be protected, no matter what crowdfunding model you choose. Just make sure that you study your options carefully before you decide to make any move. As with any investment opportunity, you should always be aware of the risks involved. Investments are always with risks! Investors need to identify what are real technology projects or products to earn higher return. In the mentioned project – 3D printing project, the concept is newer but not realistic. And investors need to look for new & realistic projects or innovation product for your investment, it is easy to earn higher return. 15 pages filled with actionable tips and resources that will bring you from complete beginner to expert. Covers everything. From 4 types of crowdfunding in Singapore to How you can start crowdfunding for profits in Singapore. + 8 Pitfalls to avoid in Crowdfunding, and MORE!